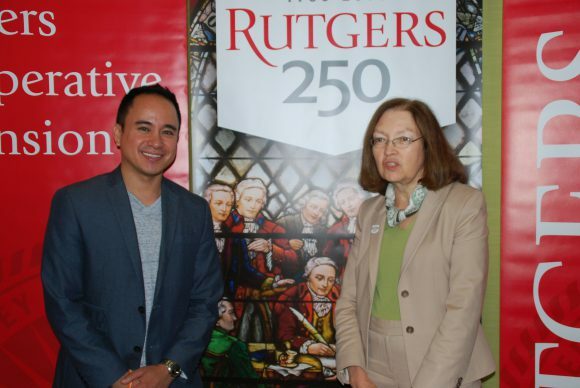 Share the post "The Road to Financial Wellness Starts at Rutgers"
Jason Vitug (RBS’07) founder of Phroogal with Barbara O’Neill, Rutgers Cooperative Extension specialist in financial resource management. The Road to Financial Wellness 2.0 kicked off with a campus pit stop held at IFNH on Thursday June 2nd. 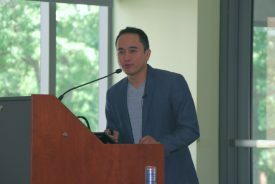 Jason Vitug, a 2007 graduate of Rutgers Business School and founder of Phroogal—a social media company providing financial information targeted to millennials—is embarking on his 2nd annual financial education journey across the United States with 50 events in 50 states over 107 days, covering 15,000 miles, to raise awareness of personal finance and to encourage people to make better financial decisions. Vitug will kick off this road trip in his hometown of Elizabeth, NJ, on Tuesday June 7. Barbara O’Neill, Rutgers Cooperative Extension specialist in financial resource management, invited Vitug and two guest panelists—Pamela Callender, business development and marketing manager at Rutgers Federal Credit Union (RFCU), and Kim Cole, Navicore Solutions and New Jersey Coalition for Financial Education—to speak to the campus audience and provide specific tips to improve a person’s financial wellness. Jason Vitug speaking about his journey to financial wellness. Once you have figured out what your life goals are, smart, specific financial planning is the next step and involves getting the right information, the proper set of tools, and setting specific goals. But Vitug admitted that getting the right kind of information can be difficult and confusing. He asked the audience where they got their financial information and noted that many go to search engines. But, he noted, those search engines are optimized by for-profit corporations and targeted to the consumer to make money. Vitug emphasized that knowledge is power and financial knowledge is life changing, however, the quality and accuracy of the information is paramount. On top of that, it has been considered taboo to talk about money and Vitug wants to change that. That’s why he started Phroogal…to demystify personal finance. 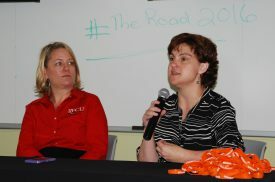 Pamela Callender, business development and marketing manager at Rutgers Federal Credit Union (RFCU), and Kim Cole, Navicore Solutions and New Jersey Coalition for Financial Education, giving financial tips to the audience. The other members of the panel agreed and provided specific sources of information and tools for attendees to access during the panel discussion. O’Neill referred to the Rutgers Cooperative Extension website https://njaes.rutgers.edu/money for information, tools, a free downloadable book entitled Money Talk: A Financial Guide for Women, and ‘financial challenges’ such as the one she offers to her students. Last year’s 15-week challenge resulted in the students saving a total of $5,800. Callender spoke about RFCU’s seminars, articles, chats and always free advice. Cole explained that Navicore was in the business of providing solutions to people who were struggling and she advised everyone to make small changes, to have goals when setting up emergency savings plans and to reach out for help. 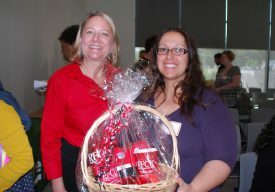 Pamela Callender & RFCU raffle winner Emily Pereira (SAS graduate). Vitug also asked the audience to look at the obstacles that were interfering with their financial wellness and emphasized the need to understand the root cause of their savings and spending habits. 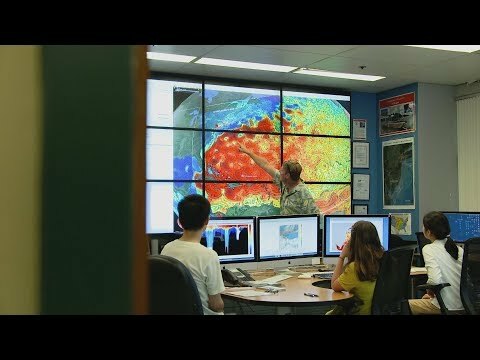 How do we think and feel about money? Were we falling victim to ‘lifestyle inflation’ fueled by mindless consumption and instant gratification? He reminded the audience that wealth should be measured by how much you save, not by how much you spend and said, “Your time is valuable and debt is reserving your future time to WORK! You only live once.” Which, by the way, is the title of his new book—You Only Live Once, the Roadmap to Financial Wellness and a Purposeful Life, which will be launched at the Elizabeth, NJ, kick-off for The Road to Financial Wellness road trip.